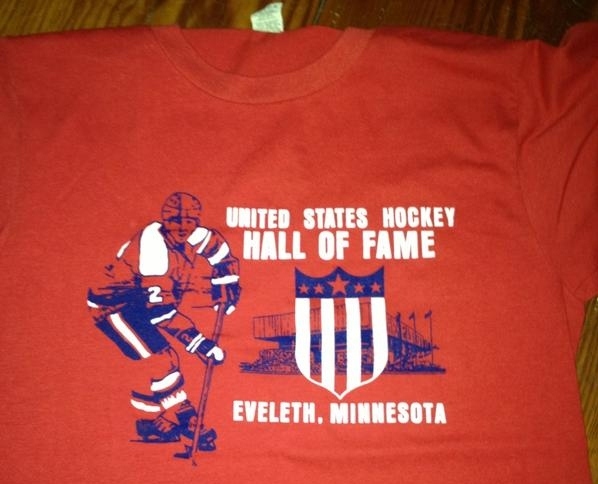 Foolish penalties, missed opportunities and strong Denver goaltending combined to send BU to a 6-0 defeat in the U.S. Hockey Hall of Fame game last night. The shutout was the first suffered by BU in 125 games, which was the longest streak among D1 schools. The Pioneers took a 1-0 lead on a power play five minutes into the first period. Midway through the frame, a five-minute major on DU presented a chance for BU to get even, but Alex Privitera’s penalty changed the man advantage into a 4 on 4 and the Pioneers struck for two goals in a nine second span to take a commanding 3-0 lead. BU created numerous scoring chances in both the first and second periods, but couldn’t dent goalie Juho Olkinuora. DU added a second period goal and two in the third for the 6-0 final. Senior Ben Rosen took an elbow to the head in the first period and did not return. He is being evaluated for a concussion. Late in the second period, Privitera was assessed a five-minute major for kicking and a game disqualification. He’ll be ineligible for next Friday home game against Renssalaer. Goalie Kieran Millan was promoted to the Colorado Avalanche’s AHL affiliate, Lake Erie. Millan, a four-year starter for BU and team MVP last season, had posted a 2.36 GAA and a .929 save percentage in 16 games for the CHL Denver Cutthroats. 2014 recruit Jack Eichel continues to impress at the World U17 Challenge in Quebec. The 6-1 right-shot center scored twice in Team USA’s thrilling 6-5 shootout victory against Canada Ontario. Eichel, who leads the NTDP U17s in goals and scoring, spearheaded a US rally from a 4-1 deficit with goals in the second and third periods and nearly scored twice more in the final minutes of regulation. He earned Team USA player of the game honors for the second time in two days. His two-goal, one-assist effort on Friday led Team USA past Canada Pacific, 6-2, in a pre-tournament exhibition game. 2014 recruit defenseman Jonathan MacLeod also had a strong game against Ontario. Team USA plays Canada Atlantic today at 1:30 p.m. ET. Tournament games are being live-streamed by FastHockey.com for free. 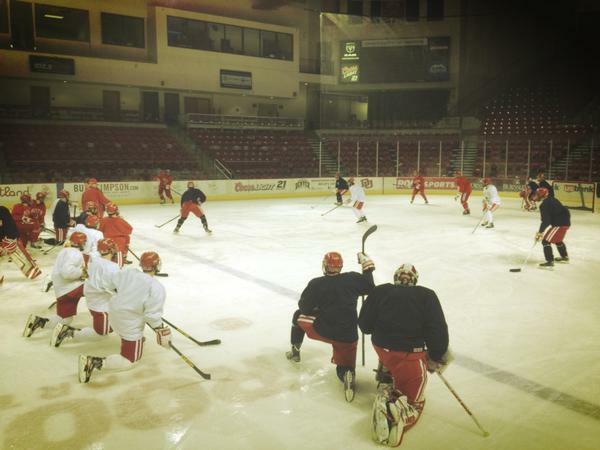 #6 Terriers begin second semester action in Denver, taking on the #14/15 Pioneers in the U.S. Hockey Hall of Fame Game. Puck drop at Magness Arena is a 9 p.m. ET with NESN and ROOT airing the game live. BU won five of its final seven first-half games including wins over BC and New Hampshire when each opponent was #1 ranked. Overall, BU is 10-5-0 and its 8-4-0 conference record has the Terriers in third place in Hockey East. Denver (9-6-3, 7-4-3 WCHA) is led by Nick Shore with 20 points and Chris Knowlton with 10 goals. Netminder Juho Olkinuora’s 1.92 GAA is best among the team’s three goalies. ►Sports Information Director Brian Kelley will fill in for Tom Ryan on the WWZN Radio Webcast. 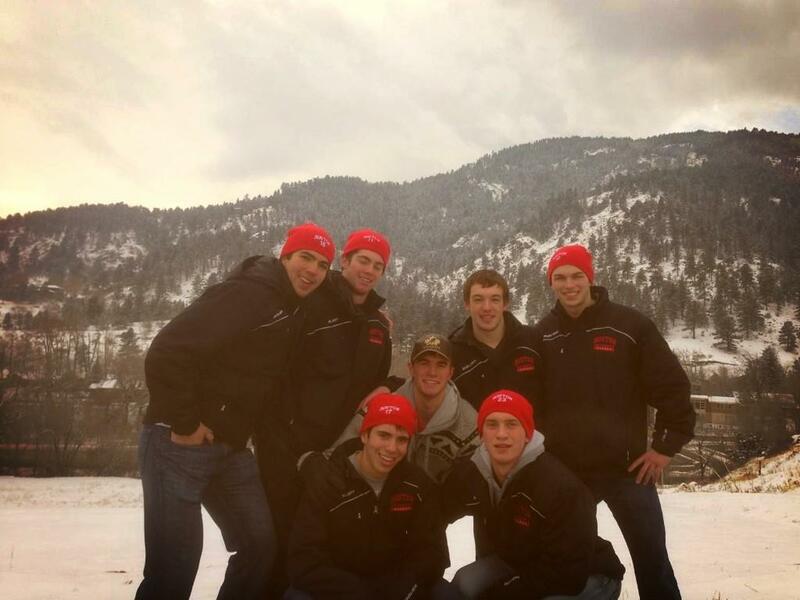 ► More photos from Denver are available via the hockey team's Twitter account. ► Freshman Matt Grzelcyk is headed back to Boston from Ufa, Russia, after being the final cut from the U.S. Junior National Team. The standout blueliner, clearly disappointed, nevertheless tweeted “Lots of emotions today, but I have to be thankful for the opportunity. Goodluck to Team USA the boys deserve it!” Among those tweeting back support were former Terrier David Warsofsky, Bobby Allen (BC) and Brian Yandle (UNH). Grzelcyk is expected to be back in the BU line-up next Friday against Rensselaer. With BU on semester break, Blog contributor srsterrier recently took in an EJHL game and offers his assessment of future Terrier Brendan Collier. Nostalgia was the theme at the SoNo Ice House in Norwalk Connecticut - home of a new EJHL franchise, the Connecticut Oilers - last Saturday Night, December 22, 2012. At times, I found myself thinking back to Boston circa 1988 or so. First, I noticed that a member of the visiting Valley Junior Warriors was named Joe Lappin. Any relation to the brothers who played for BU for a couple of seasons in the late 80’s? I did not ask. Then, I noticed the goalie playing for the Oilers, a guy named “Bruce Racine.” Any relation to the legendary Northeastern goalie? A member of the Oilers told me that it was just a coincidence. And if that was not enough, standing there watching the game was none other than Mark Krys, a solid defenseman for the Terriers from 1987-91 and captain of the 1990-91 squad that reached the NCAA championship game. Those of us who attended BU during that time remember Mark for his surprising goal against BC in the 91’ Beanpot title game and also for his soft-spoken, respectful nature. Tonight was no different as Mark politely chatted with us for a few minutes and signed autographs for my son and his friend. ►2013 recruit Robbie Baillargeon scored both regulation goals for Omaha in a 3-2 shootout win against Sioux City. Baillargeon has three goals in two games since being traded to the Lancers. Overall, he has a 9-10-19 scoring line. Terriers are in Denver preparing for Saturday’s U.S. Hockey Hall of Fame Game against the Pioneers and doing some sight-seeing as well. You can check out the on-ice and off-ice activities at the team’s Twitter account. Boston Hockey Blog reports that Matt O’Connor will get the call in net Saturday with Sean Maguire getting the next start vs. RPI on Jan. 4. The Boston Globe examines the two freshman goalies’ progress filling the void left by Kieran Millan and Grant Rollheiser. Last season BU hosted Denver and came away with a 4-3 victory. Wade Megan scored the game-winner. ►Episode 10 of Inside BU Hockey features Coach Jack Parker’s assessment of BU’s 10-5-0 first semester performance, including grades for goaltending, forwards and defense. Fifth-year senior defenseman Ryan Ruikka also is a guest with host Bernie Corbett. Freshman Matt Grzelcyk was the final cut from the U.S. Jr. National Team with WIndsor Spitfire defenseman Patrick Sieloff added to the roster. Early reports indicate Grzelcyk will return to Boston tomorrow and be available to play in BU's Jan. 4 home game against RPI. Seeing Grzelcyk left in limbo since the team's exhibition games in Finland didn't sit well with Parker who yesterday told the Boston Hockey Blog, "I think they've done him and us a disservice. They should have made that decision before they left Helsinki." In a USCHO pre-tournament assessment of Team USA’s talent, general manager Jim Johannson saids he really likes the way the 5-9 Grzelcyk plays and suggested he might be the “most feisty” player on the blueline. New England Hockey Journal profiled Grzelcyk and Harvard freshman Jimmy Vescey, who grew up playing hockey together in Charlestown, Mass. Former Terrier forward David Van der Gulik earned AHL Player of the Week honors for a 3-4-7 line in three games with plus-5 rating. The seventh year pro has 19 points in 29 games for Lake Erie.